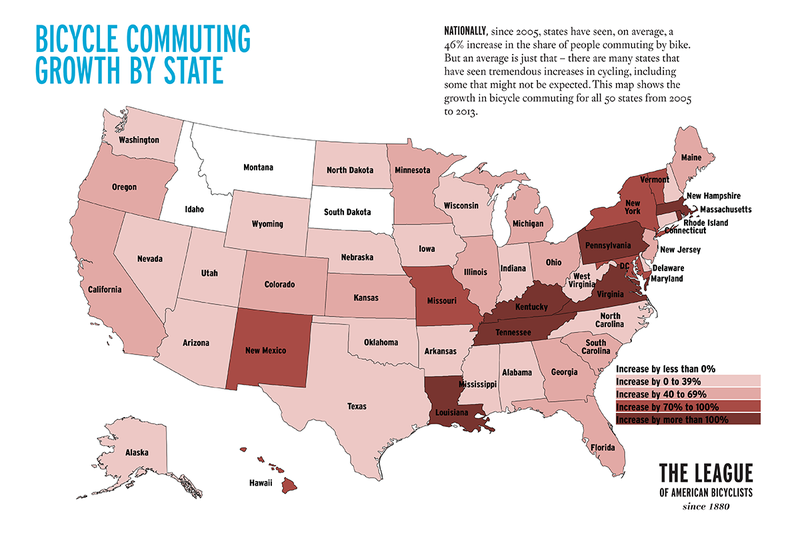 Read our new report, "Where We Ride: An Analysis of Bicycling in American Cities" for an in-depth look at bike commuting in the United States. For bicyclists of all stripes, there's nothing like Bike to Work Day (BTWD), an annual celebration of active transportation. 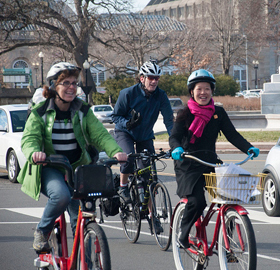 Thanks, in part, to encouragement efforts like BTWD, the number of bike commuters is on the rise, as well — especially in Bicycle Friendly Communities (BFC). From 2000 to 2013, bicycle commuting rates in large BFCs increased 105% — far above the national average of 62% and more than double the rate in non-BFCs (31%). Click here to download a PDF of the above infographic. 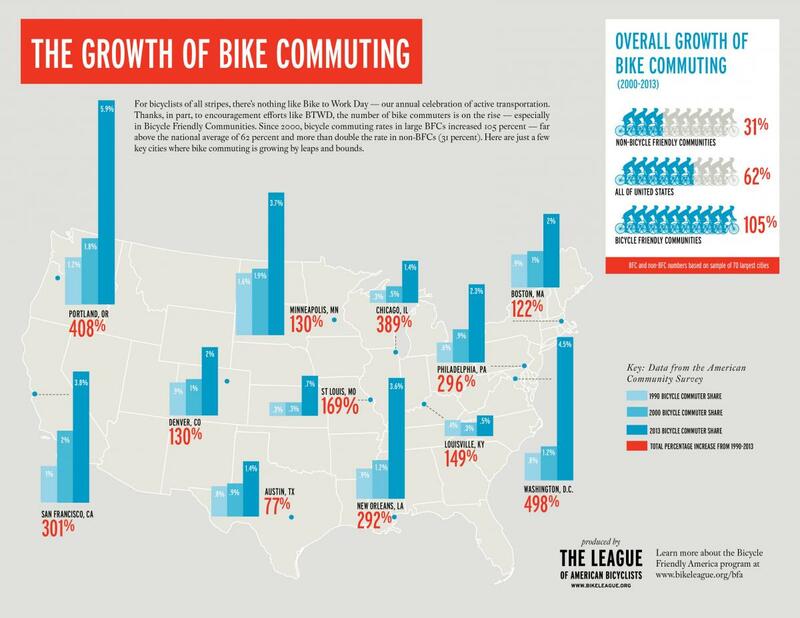 The U.S. Census Bureau's American Community Survey (ACS) collects data on bicycle commuting in 375 cities in the United States. Note: ACS numbers are based on surveys of a sample of the population, so they are just estimates -- sometimes with large margins of error. Some changes may not be statistically significant. They are just bike commuter estimates; many people who ride bikes are not counted here.